Three or four years ago, I heard a rumour that Amnesia: The Dark Descent was going to be released on the Xbox 360, and I couldn’t wait for it to happen. Genuinely frightening games featuring little or no violence were just about unheard of back then, and I guess in the end the demand from gamers was just so low that Amnesia never made it to a console release. Fast forward to today, though, and the Xbox One already features a number of games that home in on leaving the player more or less helpless as a means of maximising terror. 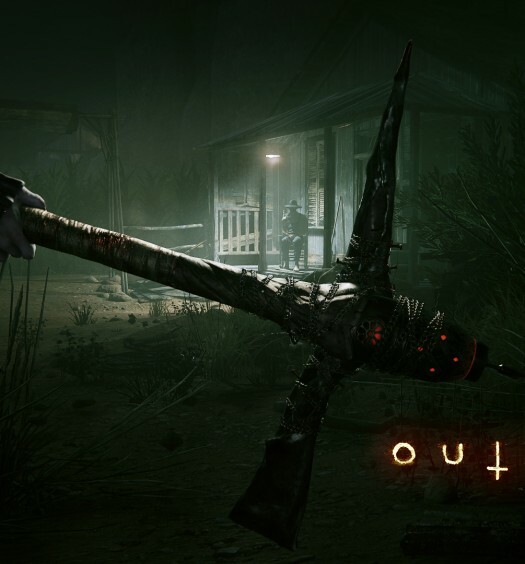 Outlast is perhaps the most successful of these to come from an indie studio, but with triple-A offerings such as Alien: Isolation also in the mix, this unique brand of survival horror is really beginning to grow in confidence. Within 10 minutes of booting up Layers of Fear, I was left with absolutely no doubt that what I was playing was an outright, unashamed clone of Amnesia‘s 2013 sequel, A Machine for Pigs. 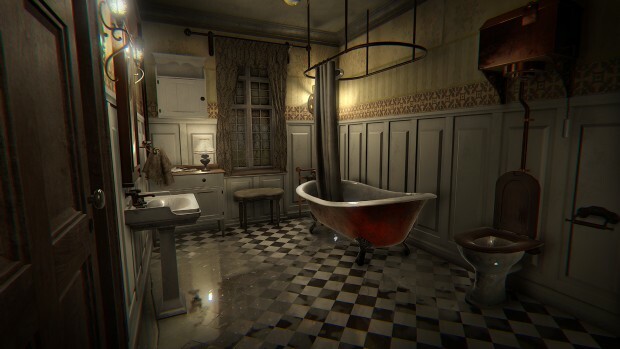 Both games are set in lavishly detailed 19th-century mansions; both games are played from the first-person perspective; and, most crucially, both games feature similarly disturbed, faceless lead characters with whom we share our adventure. 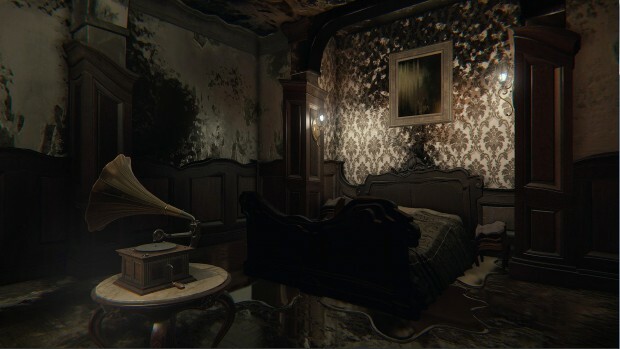 Despite these very obvious structural similarities, I’m pleased — if indeed that is the right word to associate with a game like this — to report that where Amnesia and its sequel ultimately drive towards gore, monsters and a more traditional, visceral kind of shock tactic, Layers of Fear takes the player on a much more personal journey into madness. In fact, by the time I had completed the preview build (which appears to be around 75 percent complete in terms of content) I had questioned my own real world sensibilities on a number of occasions, whilst at the same time witnessing my in-game protagonist stumble closer and closer to, well, to whatever his fate may be. 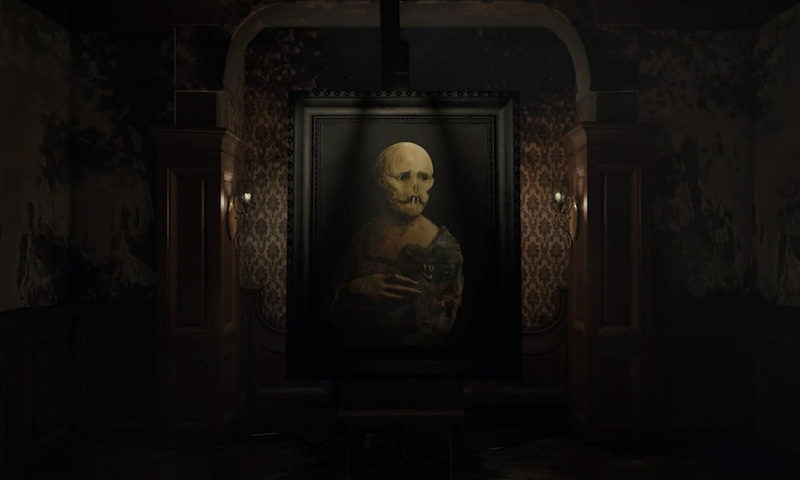 Considering it lacks the usual horror game tropes, Layers of Fear is forced to lean heavily on its engine, and the results are quite impressive, especially considering that this is just a preview build. 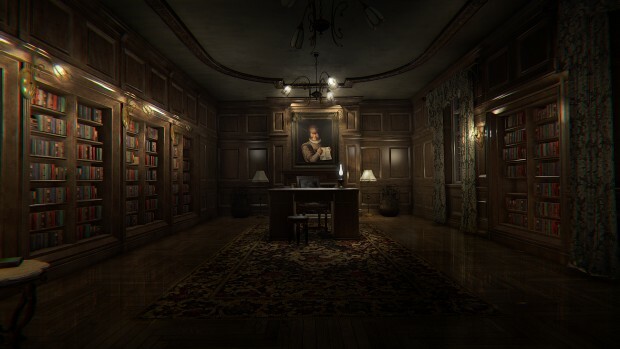 The player-character’s leaden movement fits perfectly with the robust, antiquated mansion that he inhabits, and the music and sound effects used to enhance the player’s emotional response are almost always perfectly timed and delivered. When still, this is a game which looks astonishingly good considering the processing capabilities of the Xbox One in comparison the kind of high-end gaming PC that would usually host games like Layers of Fear. Alas, it’s not all good news. The engine does occasionally stutter in the more lavish rooms as multiple objects move, especially in places where there are numerous lighting sources. Hopefully these bugs will be ironed out prior to final release. Layers of Fear is clearly, openly not finished (it even says so at the end), but it’s already one of the most memorable games I’ve played this year. It features perhaps only one or two jump scares, but the way that it plays will force you to ask yourself questions like, “Is that painting watching me?” or “Wasn’t there a door over here just now?” As winter draws in, this is the kind of game that begs you to close the curtains, turn off the lights, turn up the surround sound and hunker down under your favourite duvet. I’ve only played the preview, but I’m already convinced that Layers of Fear is worth the investment of time and money that it demands. I can only hope that the developers continue to listen and respond to feedback as they have done so far, which will hopefully lead to this rough diamond to becoming a polished gem in time for its full release, which is due later this year.